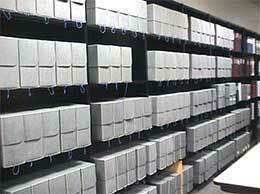 Jen: Some of my blog readers will not be familiar with what an archivist does. 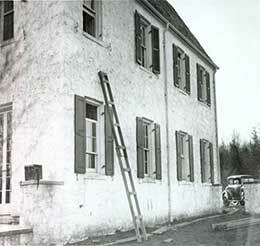 Can you explain, briefly, some of what you do as the archivist for the Lindbergh case at the NJ State Police Museum? Mark: An archivist is kind of like a librarian, but rather than dealing with books, we deal with documents. There are many aspects to my job—I get to be an organizer, a researcher, a writer, and a teacher. I organize the various collections of documents and photographs we have that pertain to both the Lindbergh Case and the history of the NJ State Police; I research and write articles about the Case and the State Police and I teach people about those subjects when they come to do their own research or to see the exhibits in our museum. 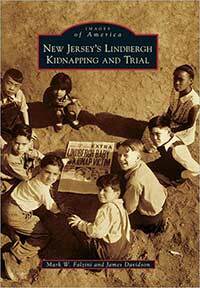 Jen: Your book New Jersey’s Lindbergh Kidnapping and Trial (Arcadia Publishing, 2012) will be available in early November. Did you propose this book to the publisher?—or, did they come to you as an expert on this case and ask you to do a book on this topic? Mark: Actually, my co-author, James Davidson, approached me about doing the book! We met when he used some photographs from our archival collections for a book he co-authored on East Amwell, the town where the Lindbergh estate is located. He thought that with my expertise and the massive collection of photographs available at the Museum that we should do a book on the Case. 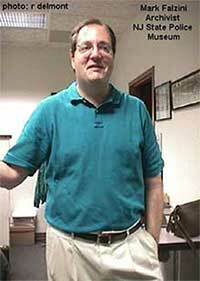 Jen: Your co-author is a local historian who lives across from the former Lindbergh estate. How did you go about dividing the labor on this book project? Does Jim have a particular area of expertise? Mark: Jim’s role was mainly as liaison with the publisher and with tracking down the historical societies and libraries that allowed us to use their collections for the book. I actually had to scan over 540 photographs and it was from those 540 that we chose the 200 or so that appear in the book. Jim helped choose the photographs and the order in which they appear in the book, and I wrote the captions. Jim’s area of expertise is Lindbergh’s 1927 flight, and almost all of the photographs in the first chapter are of Jim’s extensive memorabilia collection. Jen: What was the greatest challenge in putting this book together? Mark: The greatest challenge for me was telling the story of the Lindbergh case in captions! We had a very strict word-limit for each caption and trying to convey the most important points accurately and clearly with very few words. I’m usually a very concise writer but this was a challenge even for me! Jen: There are so MANY great photos in this book! Do you have a favorite photo or page? If so, why is it your favorite? Mark: My favorite photograph is the cover photo. I think it says it all about the case: the crime is represented by the newspaper headline; the fact that it wasn’t just adults that were captivated by the news is shown by the children in the photo and the worldwide sensationalism was captured by the nationalities of the children. Jen: You’ve been studying this case for more than 20 years. Did you learn anything new as you prepared this book? Mark: I’m always learning something new about this case! What I like about photographs is that they can give you new insight. One thing that surprised me was what some of the people actually looked like. For 20 years I had an image of Max Rauch, Hauptmann’s landlord, as being a big, burly gruff-looking man. Then I found his photo and he was just the opposite! Jen: There’s a large community of Mystery and True Crime bloggers on the Web and in Social Media. What do you think their reaction to the book will be? Mark: I hope that they like it! What is unique about this book is that it gives you the opportunity to actually see what you can only read about in all of the other books. We have over 200 photographs, most of which have not been used in books about the case before. 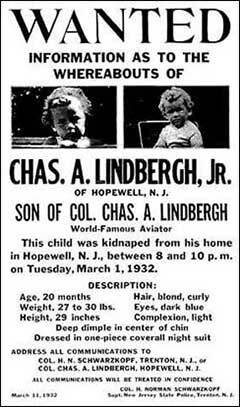 I hope that the book helps readers gain a better understanding not only of the Lindbergh kidnapping and trial but of the time period when it took place. Jen: Is there anything else you’d like to add? Mark: I hope that this book inspires people to come to the NJ State Police Museum to see the actual evidence from the case and to use our archive. Anyone can come and read the original reports and newspaper articles and look at our photographs, free of charge.